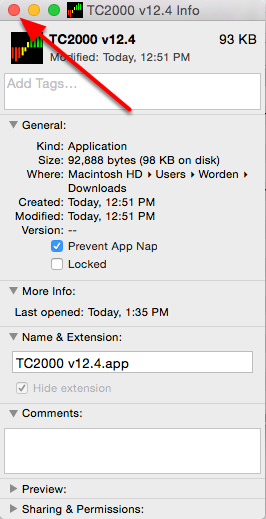 App Nap is a energy saving feature introduced OSX Mavericks that causes inactive applications to go into a paused state. If this is enabled for TC2000 it will cause the program to disconnect from our servers and go into an unresponsive state. 2. 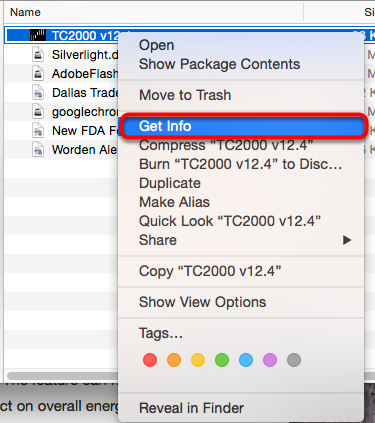 Right click or press Control and left click on the TC2000 application (The default location is in the downloads folder). 4. 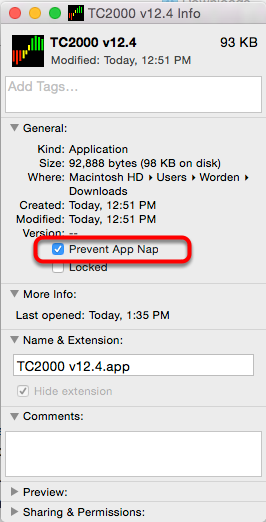 Place a check in the box next to Prevent App Nap. 5. 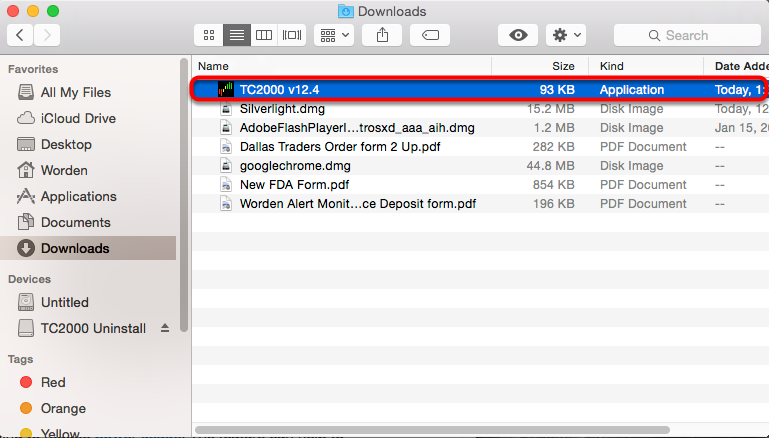 Close the TC2000 info window and re-launch TC2000.